Step out of the city life by going to Cottesloe Beach and Caversham Wildlife Park. Popular historic sites such as Fremantle Prison and Woodbridge are in your itinerary. Explore the numerous day-trip ideas around Perth: Illusionary Art (in Herne Hill), Motor Museum of Western Australia (in Caversham) and Rockingham Beach (in Rockingham). 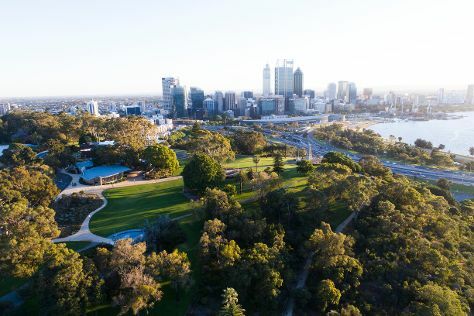 There's much more to do: admire the natural beauty at Kings Park & Botanic Garden, do a tasting at Tyler's Vineyard, enjoy the sand and surf at City Beach, and steep yourself in history at Woodbridge. For where to stay, photos, more things to do, and tourist information, refer to the Perth vacation planner. Nottingham, UK to Perth is an approximately 32-hour flight. The time zone difference moving from Greenwich Mean Time (GMT) to Australian Western Standard Time (AWST) is 8 hours. Traveling from Nottingham in August, Perth is slightly colder at night with lows of 9°C. Wrap up your sightseeing on the 22nd (Tue) early enough to travel to Canberra. 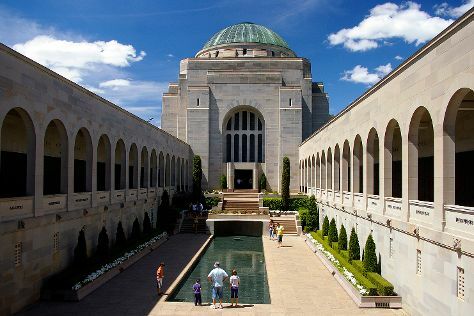 On the next day, take an in-depth tour of Australian War Memorial, engage your brain at Questacon, and then ponder the world of politics at Parliament of Australia. To see where to stay, photos, reviews, and other tourist information, read our Canberra trip itinerary builder. Traveling by combination of flight and bus from Perth to Canberra takes 7 hours. Alternatively, you can drive; or do a combination of train and bus. Due to the time zone difference, you'll lose 2 hours traveling from Perth to Canberra. Expect slightly colder temperatures when traveling from Perth in August; daily highs in Canberra reach 16°C and lows reach 0°C. Wrap up your sightseeing by early afternoon on the 24th (Thu) to allow time for travel to Melbourne. Popular historic sites such as Old Melbourne Gaol and Scots' Church are in your itinerary. Get some cultural insight at National Gallery of Victoria and Immigration Museum. Spend the 29th (Tue) wandering through the wild on a nature and wildlife tour. There's still lots to do: see the interesting displays at Melbourne Museum, take an in-depth tour of Chinese Museum, take in nature's colorful creations at Royal Botanic Gardens, and get interesting insight from Melbourne Boat Hire. For other places to visit, traveler tips, more things to do, and tourist information, go to the Melbourne travel itinerary planner. Traveling by combination of bus and flight from Canberra to Melbourne takes 4 hours. Alternatively, you can drive; or take a bus. Plan for a bit warmer nights when traveling from Canberra in August since evenings lows in Melbourne dip to 6°C. Finish your sightseeing early on the 31st (Thu) to allow enough time to travel to Noosa. 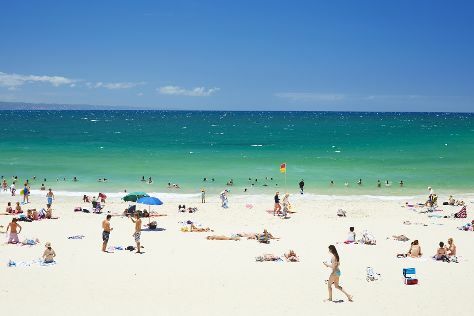 You'll enjoy a bit of beach vacationing at Noosa Main Beach and Maroochydore Beach. Get some cultural insight at Queensland Air Museum and Hastings Street. Get out of town with these interesting Noosa side-trips: Mooloolaba Beach (in Mooloolaba), Marcoola Beach (in Marcoola) and Caloundra (Bulcock Beach & Kings Beach). There's more to do: enjoy the sand and surf at Peregian Beach. For ratings, other places to visit, more things to do, and tourist information, read Noosa tour planner. Getting from Melbourne to Noosa by combination of flight and bus takes about 5 hours. Other options: do a combination of car and ferry; or take a bus. Wrap up your sightseeing by early afternoon on the 4th (Mon) to allow enough time to travel to Lord Howe Island. 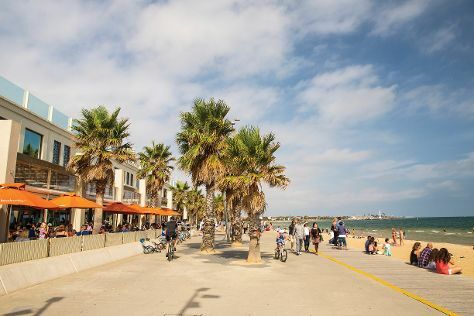 Take a break from the city and head to Ned's Beach and Lagoon Beach. 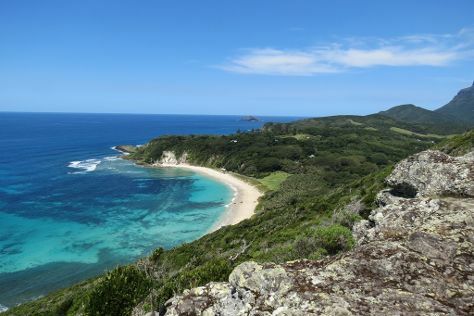 The adventure continues: trek along Lord Howe Island Walking Trails, take your sightseeing to a higher altitude at Mt Gower, and discover the deep blue sea with a scuba or snorkeling tour. To find traveler tips, reviews, more things to do, and tourist information, refer to the Lord Howe Island vacation trip planner. Explore your travel options from Noosa to Lord Howe Island with the Route module. Wrap up your sightseeing by early afternoon on the 7th (Thu) to allow time for travel to Sydney. Australian National Maritime Museum and White Rabbit will appeal to museum buffs. Popular historic sites such as The Rocks and Government House are in your itinerary. Step out of Sydney to go to Manly and see Shelly Beach, which is approximately 34 minutes away. On the 11th (Mon), spend a day of history-infused exploration at Sydney Harbour National Park. 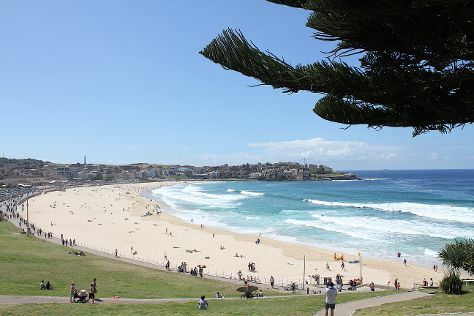 The adventure continues: tour the pleasant surroundings at Bondi Beach, kick back and relax at Manly Beach, explore the world behind art at Brett Whiteley Studio Museum, and get engrossed in the history at Hyde Park Barracks Museum. To find more things to do, other places to visit, reviews, and more tourist information, you can read our Sydney holiday planner. The Route module can help you plan travel from Lord Howe Island to Sydney. Expect a daytime high around 25°C in September, and nighttime lows around 14°C. Finish up your sightseeing early on the 15th (Fri) so you can travel to Blue Mountains National Park. This is the official community page for Blue Mountains National Park. Start off your visit on the 16th (Sat): admire the masterpieces at Norman Lindsay Gallery & Museum, then get to know the fascinating history of The National Pass, then admire the sheer force of Wentworth Falls, and finally admire the natural beauty at Everglades Historic House and Gardens. Get ready for a full day of sightseeing on the next day: stroll through Fortress Rock, make a trip to Gallery Blackheath, then get great views at The Three Sisters, and finally see the interesting displays at Valley Heights Locomotive Depot Heritage Museum. 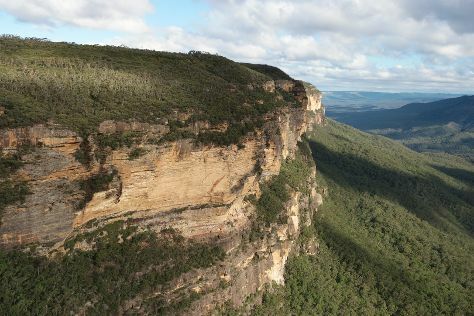 To see other places to visit, where to stay, photos, and more tourist information, refer to the Blue Mountains National Park itinerary maker. You can drive from Sydney to Blue Mountains National Park in 2.5 hours. Traveling from Sydney in September, expect little chillier with lows of 9°C in Blue Mountains National Park. Finish up your sightseeing early on the 18th (Mon) so you can travel to Fraser Island. Escape the urban bustle at Seventy-Five Mile Beach and Champagne Pools. Your itinerary includes some good beach time at Indian Head and Eli Creek. For photos, ratings, traveler tips, and other tourist information, refer to the Fraser Island trip builder. Explore your travel options from Blue Mountains National Park to Fraser Island with the Route module. On the 23rd (Sat), you'll travel to Whitsunday Island. Start off your visit on the 24th (Sun): contemplate the waterfront views at Hill Inlet and then kick back and relax at Whitehaven Beach. For photos, reviews, maps, and other tourist information, go to the Whitsunday Island sightseeing planner. 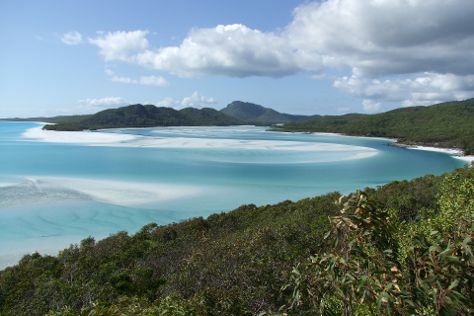 The Route module can help you plan travel from Fraser Island to Whitsunday Island. In September, plan for daily highs up to 28°C, and evening lows to 22°C. Wrap up your sightseeing on the 25th (Mon) to allow time to travel to Cairns. Visiting Scuba & Snorkeling and Trinity Beach will get you outdoors. Get some cultural insight at St Monica's Cathedral and Samurai Gallery Australia. Explore the numerous day-trip ideas around Cairns: Shannonvale Tropical Fruit Winery (in Mossman), Port Douglas (Wildlife Habitat Port Douglas & Four Mile Beach) and Palm Cove (Hartley's Crocodile Adventures & Palm Cove Beach). Spend the 1st (Sun) exploring nature at Barron Gorge National Park. Next up on the itinerary: get out on two wheels at Trail Bike Adventures, trek along Esplanade Boardwalk, enjoy the sand and surf at Yorkeys Knob Beach, and zoom along the surf with a waterskiing or jet-skiing adventure. For more things to do, other places to visit, traveler tips, and other tourist information, you can read our Cairns holiday planner. The Route module can help you plan travel from Whitsunday Island to Cairns. When traveling from Whitsunday Island in September, plan for a bit warmer days in Cairns, with highs around 32°C, while nights are about the same with lows around 20°C. Finish up your sightseeing early on the 1st (Sun) so you can travel to Uluru-Kata Tjuta National Park. Get outdoors at Uluru and Kata Tjuta. Get some cultural insight at Nature & Wildlife Tours and Uluru-Kata Tjuta Cultural Centre. On the 5th (Thu), spend a fun day on foot with Walking tours. For ratings and tourist information, go to the Uluru-Kata Tjuta National Park vacation planner. 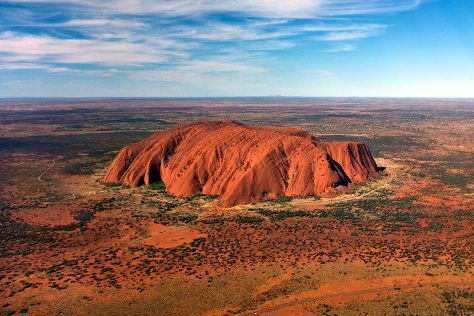 Fly from Cairns to Uluru-Kata Tjuta National Park in 3.5 hours. Alternatively, you can drive. When traveling from Cairns in October, plan for a bit warmer days in Uluru-Kata Tjuta National Park, with highs around 39°C, while nights are about the same with lows around 22°C. Wrap up your sightseeing on the 6th (Fri) to allow time to travel to Kakadu National Park. Maguk Gorge and Warradjan Cultural Centre are good opportunities to explore the local culture. Step out of the city life by going to Nourlangie Rock and Safaris. Spend the 10th (Tue) wandering through the wild on a nature and wildlife tour. To find maps, more things to do, photos, and tourist information, you can read our Kakadu National Park itinerary planner. Fly from Uluru-Kata Tjuta National Park to Kakadu National Park in 8.5 hours. Finish up your sightseeing early on the 12th (Thu) so you can travel back home.